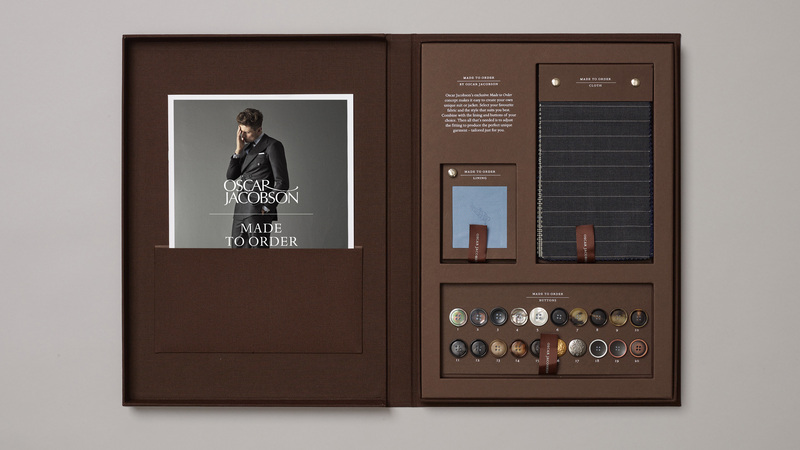 Oscar Jacobson’s exclusive Made to Order is a concept that makes it easy for the customer to create his own unique suit or jacket. 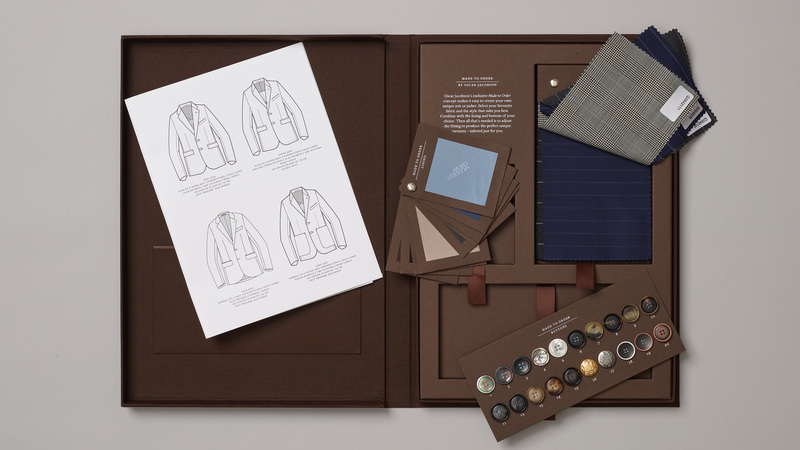 By selecting the favourite fabric and the style, combined with the lining and buttons of his choice the customer can produce the perfect unique garment. We created the box that presents the concept instore.